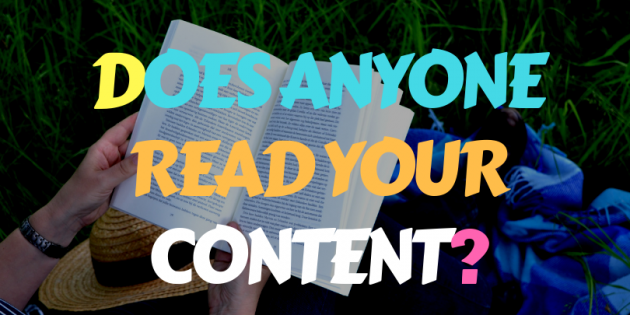 Does anyone read your content? We all have goals to attract audience to visit our brand and as we learn strategy from the experts, we are getting lots of information on how to make our audience have a great time. We discover best ways to find quality content by keyword research. Also, we learned how to scrape our competitors content and find out what they have in their blog that made them top ranked. Whatever it is that you practiced for your content marketing, always bear in mind what does your audience most likely to search online. There is a saying that goes like this. Whenever you are doing a next step, “Put your other foot in someone’s shoe”. It’s like you are trying to feel what other people feels. That way, you would think and feel like the other person who owns that shoe. When you are making a business, you should know and learn what your potential customers are exactly looking for. By reaching out to them in social media. Ask them what they are looking, what they want and creating a good quality content enough to be shared. From there you would have an idea to create your brand for your company depending on your customers’ needs.